He was appointed an Officer of the Order of the British Empire (OBE) in the 2017 Birthday Honours for services to cyber security. Bill recently received an "Outstanding Contribution to Knowledge Exchange" award at the Scottish Knowledge Exchange awards, and was the Cyber Evangelist of the Year in 2016. 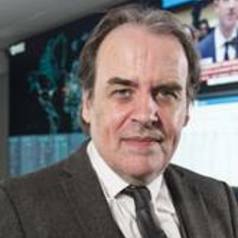 Currently he leads the Centre for Distributed Computing, Networks, and Security and The Cyber Academy (thecyberacademy.org). His research has led to three successful spin-out companies, including Zonefox, and he has developed a number of patents. Bill has published over 280 academic papers and 29 academic books. His main research focus is around information sharing, threat analysis, cryptography, Blockchain, e-Health, and triage within digital forensics. Bill regularly appears on TV and radio related to computer security, and has given evidence to both the UK and Scottish parliaments. He has been named as one of the Top 100 people for Technology in Scotland for every year since 2012, and was also included in the FutureScot "Top 50 Scottish Tech People Who Are Changing The World". Recently his work on Secret Shares received "Innovation of the Year" at the Scottish Knowledge Exchange Awards, for a research project which involves splitting data into secret shares, and can then be distributed across a public Cloud-based infrastructure. He was also included in the JISC Top 50 Higher Education Social Media Influencers and has one of the most extensive Web sites for computer security education (asecuritysite.com).